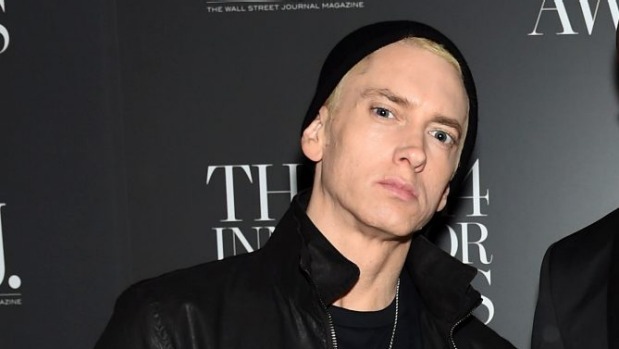 Evidence given in the Eminem copyright case about how much has been paid to use music in adverts is being kept behind closed doors. The National Party might be ordered to pay compensation because a piece of music used in its election adverts in 2014 allegedly infringed copyright for the Oscar-winning Eminem song Lose Yourself. The music actually used, Eminem Esque, was said to be so similar that it breached the rights of the creators of Lose Yourself, who are Eminem, Jeff Bass and Luis Resto. Bass gave evidence at the High Court in Wellington on Tuesday that he thought Eminem Esque was a blatant ripoff. He also played live the opening guitar riff that he composed for Lose Yourself. The man who is in charge of licensing deals for Lose Yourself, Joel Martin of Detroit, has been in New Zealand for the case. Martin said he thought the National Party adverts substantially reproduced Lose Yourself. He said the owners would never have given permission for the music to be used in the adverts, but if they had a fee of up to about $1 million might have been charged. Some details of the song’s ownership arrangement have not been made public, but two US companies have taken the case by having the rights to negotiate and enforce copyright for the owners. Numerous requests were received to use Lose Yourself but that was tightly controlled. It had been licensed for use in two adverts that Martin mentioned. One, an advert for Chrysler cars, commanded a “very substantial” fee. Eminem was separately paid to appear in the advert, which was seen as supporting his hometown of Detroit. A much smaller fee was charged for a beer brand’s adverts promoting recruitment for a South African football academy, but those in charge of the copyright felt a moral alignment with the cause, Martin said. In both cases, the copyright holder kept complete creative control and approval, he said. During the case, witnesses have been called to give evidence about the factors that can affect the licensing fees paid to use music in adverts, but discussion of the sums charged has been kept behind closed doors because of its commercial sensitivity. The National Party is defending the claim, and its lawyer has indicated it will dispute how original Lose Yourself is. If the party, and its secretary Gregory Hamilton, are found to have infringed copyright they would probably be ordered to pay an appropriate licence fee, but the US claimants also asked for a sum to “punish” for the infringement. And if the National Party loses it was expected there would be a second part to the case in which the party would seek to recover its losses from other entities allegedly involved in supplying and authorising the use of Eminem Esque. The composer of Eminem Esque, Michael Cohen, did not take part in the proceedings that started on Monday and were expected to continue next week.